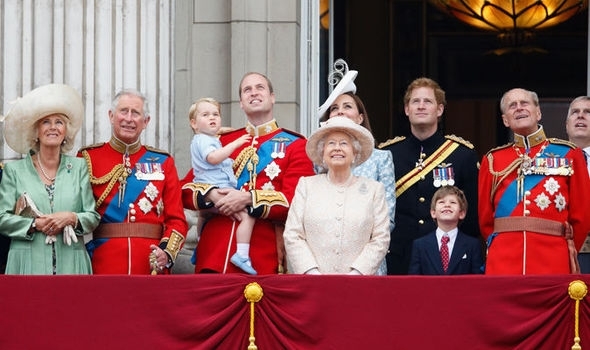 The British Royal family is the pillar of England’s culture since the beginnings of the United Kingdom. And it goes without saying that Queen Elizabeth II. is the family’s most important and iconic symbol. This weekend, the whole Commonwealth will celebrate her 65th birthday on the official date since her coronation ceremony. An important milestone in the history of the royal family of which she already is the most long-lived person ruling the country. Thus, it is important to know how to celebrate this event following the tastes of the Royal family’s most important member. 1. Not everybody knows that Queen Elizabeth II. is a huge Coca Cola fan. Actually, the most important and widespread soda drink in the world is never missing in the Royal fridges. This is the kind of beverage that can be combined with every type of food and is perfect both for kids and adults. 2. The Queen’s favourite cocktail of the Queen is a sort of invention. Her Majesty really enjoys drinking a cocktail based on gin mixed with Dubonnet, a fortified wine, and a slice of lemon. This drink might not be for everybody thanks to its peculiar taste. But once accustomed to it, Gin Dubonnet is a fresh and pleasant aperitive, and also digestive. You can always soften it out with a splash of soda. 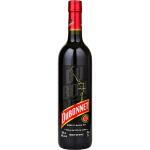 Dubonnet 75cl, a vermouth from France with an alcoholic strength of 14.8%. 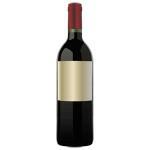 The Uvinum community values the Dubonnet 75cl with 4,4 of 5 points. 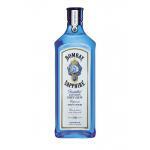 Bombay Sapphire 1L is a Premium London Dry gin with lovely and smooth aromas of dill, as well as light citric spices. 3. Of course, one can’t miss a nice glass of champagne. There’s hardly any drink that delivers such pleasure after a good meal. But above all, this is the main drink to celebrate an important event such as the Queen’s official birthday. Since 1884, Champagne Bollinger has been holding the Royal Warrant, awarded by Queen Victoria, one of the most important rulers of the United Kingdom. 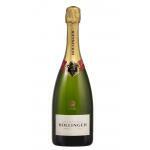 Bollinger Spécial Cuvée Brut: In 1911, Georges Bollinger’s British agent gave him the idea for the name Special Cuvée. More than a hundred years later, the name of Bollinger’s key figure champagne still symbolises both its expertise and its history. 4. A celebration is not complete without a proper long drink. Of course, in England and especially the Buckingham Palace, there’s no party without gin. Whether Beefeater, Gordon’s or Tanqueray, Prince Harry, the Queen’s grandchild, would be really disappointed without a taste of his favourite drink. 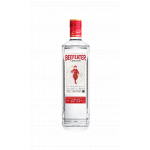 Beefeater 1L: a gin with roots in England with 40% of alcohol. 4 of 5 points is the average score of this gin according to Uvinum users. Gin Gordon’s, a gin with roots in England with 37.5% of alcohol strength. At Uvinum, this gin scores an average rate of 4 of 5 points. 5. 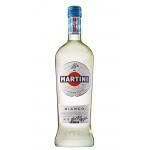 Last but not least, Martini is another classic drink that would cheer up your party. Along with the Dubonnet, it’s a type of vermouth really appreciated by the Queen and her relatives. You can drink it neat, on ice or with vodka. If it’s good enough for the Royals, it’s also good enough for you! Martini Bianco 1L is an aromatic, sweet, soft and very delicate drink, which is why it works as a perfect blend to enjoy all kinds of cocktails or snacks. So, what are you waiting for? Just choose your favourite drink and toast as you’d be celebrating it at Buckingham Palace!